Do you need a garage in the Wales area for your car service? Find and book it online now quickly and easily with BookMyGarage. No more hanging on the phone, just put in your car registration and postcode then pick a trusted Wales garage from our comprehensive list. Choose the date, time and price to suit you, click book and you're done - it's that simple. You won’t pay a penny until the work is complete. Enter your registration number now to see garages in the Wales area or to speak with an expert mechanic today, call: 03304 004439. Looking for a car service in Wales? If you’re trying to find a trusted, local garage in Wales for your car service, BookMyGarage can save you time and money, and give you the peace of mind that you’re booking the right service with the right garage. You’ll get instant prices online for your car service from your local, trusted garages. Don’t know which car service your car needs? Our online booking system will identify the right service and show you the prices from recommended, independent garages in Wales. From Cardiff to Caenarvon, with BookMyGarage the garage for you is just a click away. Our Wales service teams are here to make your life a little easier. There’s no more ringing round garages, all you have to do to book your service through BookMyGarage is enter your car registration and postcode and we will show you the garages that are closest to your location with customer reviews, fixed priced service costs for your car, opening hours and extra services such as collection/drop off. Just choose the time, date and place that are best for you and then click to book your service with the garage at the fixed price shown. No need to wait on the phone, you can make your booking even when the garage is closed. We’re totally free to use, and you only pay the garage when the work is done. If you would rather talk to someone about a problem with your car, what it could be, what it should cost to fix, and who best to fix it, you can call our team of expert mechanics on 03304 004439. 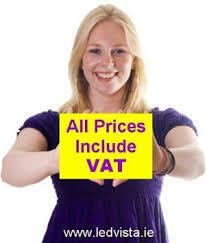 We believe it shouldn’t be difficult to get good quality, great value car servicing. Try BookMyGarage now! Look out for your confirmation email with the full booking/garage details. Pay only once the job is done. When you’ve finished, don’t forget to leave your own review for others looking for a trusted garage in Wales. The mountainous nature of the Welsh landscape means that large areas are only sparsely populated, with almost half the population living on or near the coast and in the southernmost counties. It is one of the wettest parts of the UK, with Snowdonia seeing average annual rainfall exceeding 3000 mm. As much of the land is over 150 metres above sea level, snow in the winter months could well affect driving conditions. Wales’ terrain means that much of the road network is steep, narrow and winding. Road signs are presented in both Welsh and English. In terms of safety, the Welsh trunk road network is the highest risk of all trunk ‘A’ roads, with the A44 between Llangurin and Aberystwyth ranking as the region’s most dangerous. Wales’ motorways are the safest in the UK - but there’s only one, the M4, running along the south of the region. The worst road for congestion in Wales is the A48 Llandaff, Cardiff; regular drivers on this road can expect to spend 82 hours a year at a standstill.